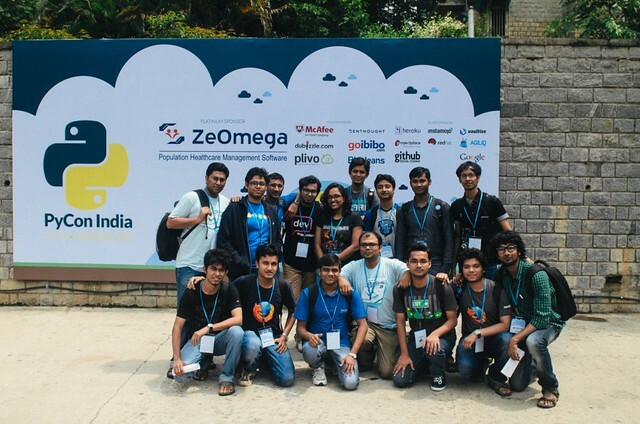 Last week we had PyCon India 2013, in Bangalore. I went there on Thursday night and stayed at @rtnpro’s place, we planned this as I was being able to discuss few other projects with him and met my gsoc student and look into the progress so far. Day 1 was the workshop day, we reached the venue early as usual. Got breakfast and started meeting all the old friends :) That is the added advantage of having a conference in Bangalore that we can meet all the friends at one single place. 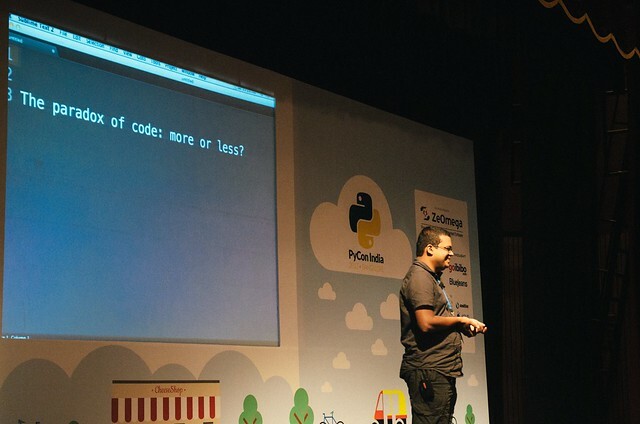 I attended Anand Pillai’s “Idiomatic Programming - Getting the best out of your Python code” workshop, it had some nice and not so common idioms to try out. I guess many people who attended that workshop was beginner even though it was marked for Intermediate. After that in the same room I had my workshop “Document your code”. 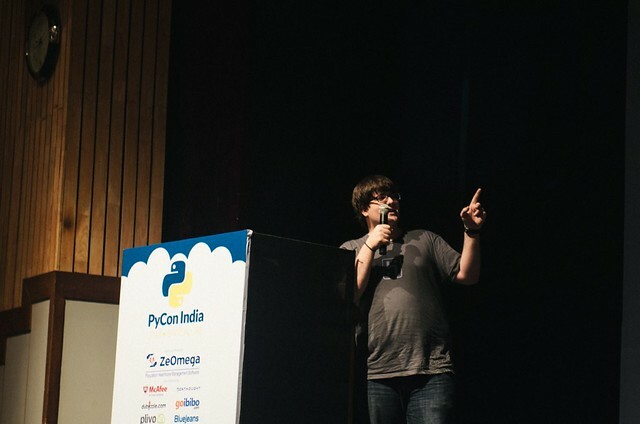 Started with a few lines on why documentation is the primary medium of communication and how it plays a significant role in your userbase, Then we went ahead and wrote documentation for a simple Python module. There were few people with Windows in their laptops and installing packages took some time for them. But at the end it went very well as everyone managed to create their documentation and they confessed that it was not that hard as they thought it would be. Sphinx is making the entry barrier very low for beginners. I also talked about why it is a good idea that the developers should write the primary documentation instead of anyone who is very new to the project. Morning started with bad rain, it took us 1.5 hours to go 3.5km distance! Somehow managed to reach the venue just before Jace’s keynote. He started his talk with one single line in a text editor. I spent rest of the day talking with people and writing more code :) There was a panel discussion on Python in education. At night we had speakers and volunteers dinner. Day started with another amazing keynote from Kenneth Reitz. We had a dgplug meeting and chose new coordinators, details will be on another post. Anisha did an wonderful job in her talk, Let’s talk testing with Selenium. The room was full and many people said good things about the talk after they came out of it. Ramki also conducted an openspace in the style of TIP bof. I demoed basic usage of coverage there. In the evening we had the AGM of PSSI and various points related to spreading Python in India was discussed there. Konark was chosen as vice-president of the society.